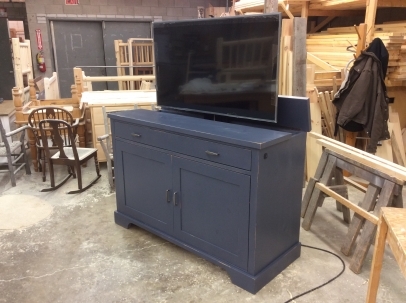 A custom cabinet built to hide an HD flat screen TV. 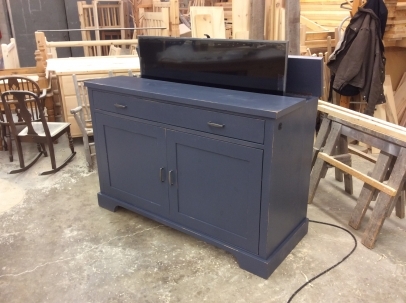 The electric lift is operable via a remote control or a switch mounted on the side of the cabinet. A fold down drawer face allows access to TV components when needed and the lower doors allow extra storage of larger items. 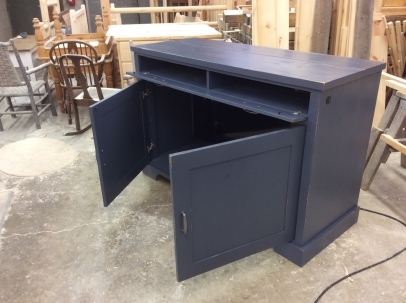 The client wanted the cabinet to be maneuverable so rubber casters were installed to allow the piece to "float" as needed along the floor. 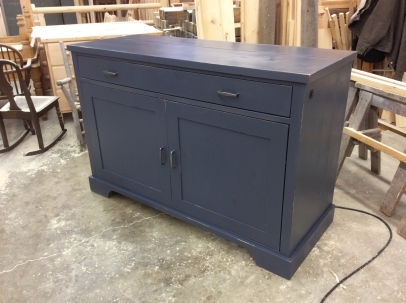 The cabinet is made from hardwood and finished with a slightly distressed blue painted finish.